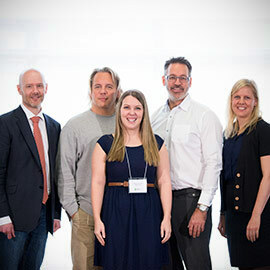 WATERLOO – Twenty doctoral and master’s degree students from across Ontario will travel to Waterloo on April 14 for the provincial finals of the Three-Minute Thesis Competition (3MT Ontario). Hosted by Wilfrid Laurier University, 3MT Ontario will be held at the nearby Centre for International Governance Innovative (CIGI) starting at 10 a.m. The judges will select the winners of the 3MT Ontario, who will receive $2,000 in total prize money. As well, the top five presenters will move onto the national level, an online competition coordinated by the Canadian Association of Graduate Schools. The 3MT Ontario will also feature Jim and Jennifer Moss, founders of Plasticity Labs and Canadian Business Magazine’s “Innovators of the Year for 2015.” They will be the emcees and bring their brand of humour and happiness to the event. The 3MT Ontario event is free and the public is invited to see what young researchers from across Ontario are working on — three minutes at a time.